rigorously tested to withstand whatever mother nature can throw at us. 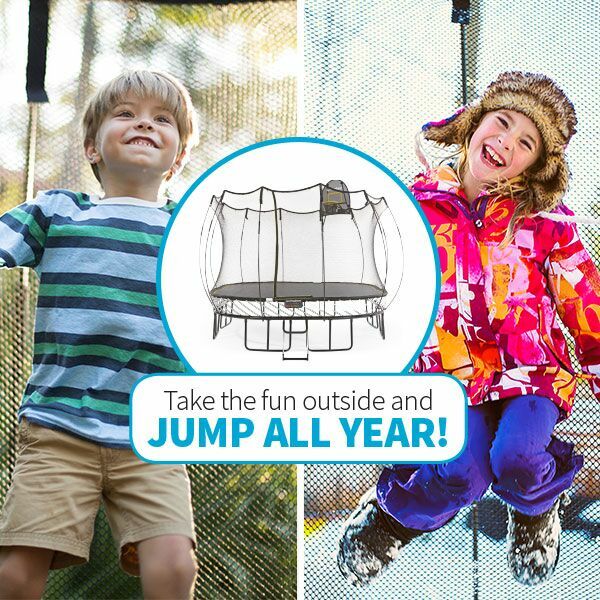 Harsh sun, rain, snow or even hail can't stop a Springfree Trampoline! Our trampolines are built to withstand not only years of play but also extremes in weather conditions. Our unique build means that our trampolines by their very nature are weather resistant. The net doesn't fray or run. Plus, it's tested to withstand even the brightest sun. The mat and net rods are made from the same material as a Boeing airplane! No wonder we survive in strong winds when other trampolines don't! Our frame has three layers of rust-protection that won't flake or peel. Springfree has long been the trampoline of choice for customers living in coastal regions in particular due to its rust resistance! The mat absorbs 30 times more impact than padding. Every Springfree Trampoline is fully assembled in our factory before it is packaged to ensure it meets our high standards before arriving in your garden. Springfree Trampolines are made like no other. They withstand the harshest conditions so that your family can get the same enjoyment year after year. Our Trampolines are manufactured with the highest quality materials for low maintenance and safety that lasts! We have a range of accessories that can be used to further enhance the durability of your trampoline.